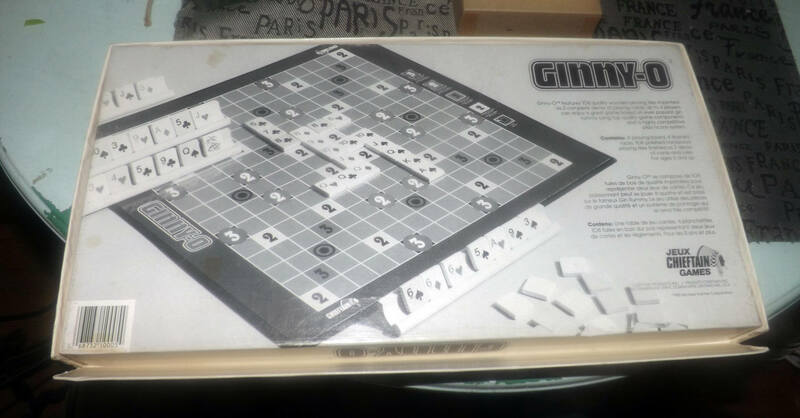 Vintage (1981) Ginny-O board game published in Canada by Chieftain | Michael Kohner. Scrabble and rummy game. Incomplete (see below). 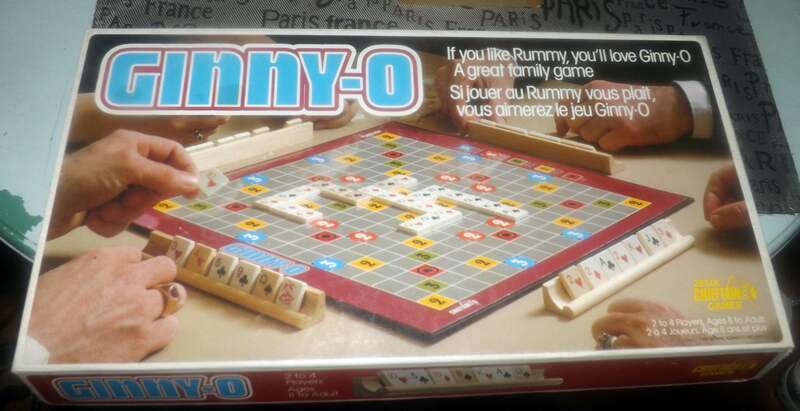 Vintage (1981) and hard to find Ginny-O board game published in Canada by Chieftain | Michael Kohner Corporation. THIS GAME HAS BEEN INVENTORIED AND IS INCOMPLETE MISSING THE GAME BOARD. In all other respects the game pieces are all here including the original instructions. THIS GAME SHOULD BE PURCHASED ONLY IF YOU REQUIRE PARTS FOR YOUR EXISTING COPY OF THE GAME. 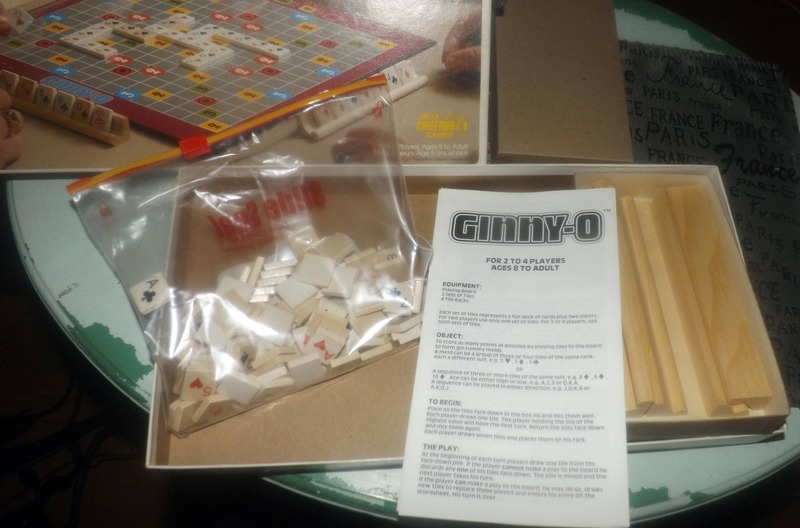 Game overview (boardgamegeek.com): Ginny-O is a crisscross gin rummy | scrabble combination game where players compete on as many as nine hands at one time. Plays similarly to Scrabble on a 15x15 board with each person having seven (7) tiles representing cards in a standard card deck. Players must score as many points as possible by playing the tiles on the board to form gin rummy melds. Game condition: The pieces that are here are in EXCELLENT! condition. The game box has VERY FEW signs of shelf wear given the age of the game. There are two broken corners to the box lid. 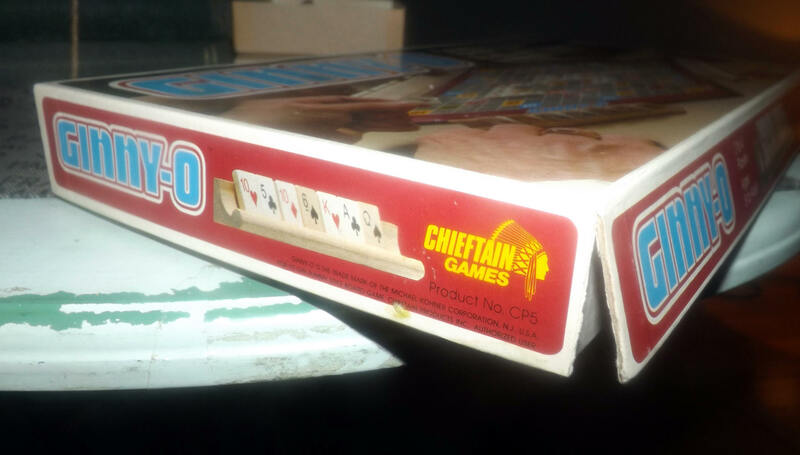 Game box text is clear and legible and box graphics are bright and vivid with minimal fading apparent.